This entry was posted in Magento Tips and tagged magento tips, Remove Trailing Slash From Magento URLs on September 4, 2015 by Duyen. Because of SEO reasons, a common problem that Magento has is that it indexes two URLs of the same page which causes issues with duplicate content when it comes to Google crawling. For example it will index both of these URLs. Ideally, we want Magento adding trailing slashes to the end of the URLs and then redirect it to the page without the trailing slash, and here’s how. This entry was posted in Magento Tips and tagged How to fix Php 5.6 deprecated messages on August 14, 2015 by Duyen. Magento officially doesn't support Php 5.6. But you know, the latest version of Php (right now 5.6.1) comes with a lots of new features and optimizations, which could be handy. But those nasty deprecated messages “Deprecated functionality: iconv_set_encoding(): Use of iconv.internal_encoding is deprecated” fills Magento’s logs, right? Temporarily, we simply just have to override some core files of Magento (well, they are core Zend Framework files). 3. Open the files from /app/code/local/Zend/ in a text editor and search for “internal_encoding” and replace them with “default_charset”. Before doing this, make sure that the “internal_encoding” string is a parameter of an iconv related function. Don’t replace “mb_internal_encoding”, “$internal_encoding” or any other non iconv related stuff, because code will be broke. Hope this would be help! This entry was posted in Magento Tips on July 24, 2015 by admin. First thing you should always do before going live — enable cache management! 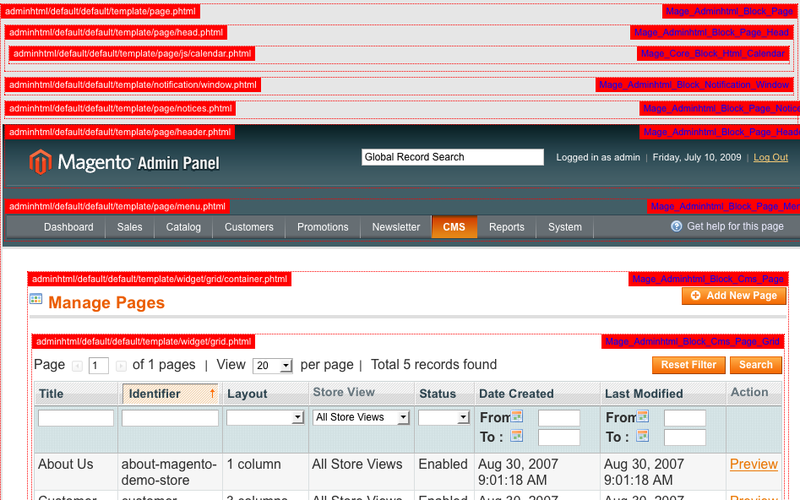 This is good way to improve Magento performance. Go to System > Cache Management and enable each cache type. Just make sure when you update your system to flush the cache so you can see your changes. After installing, your files should be minified instantly. 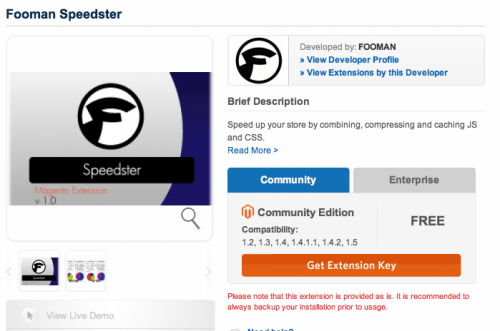 Go ahead and check your combined scripts to see Fooman Speedster in action. Although this extension is still in beta, I haven’t experienced any issues with it. 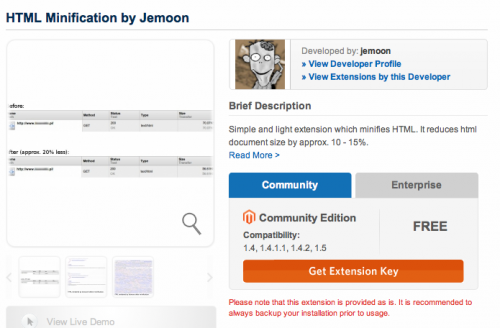 HTML Minification by Jemoon is straightforward and easy to set up. Get your extension key for HTML Minification here. Follow the same instructions as Fooman Speedster. Make sure you allow beta extensions in your settings tab. Your HTML files should automatically be minified! It’s that easy. I commented out all of the Scriptaculous code and translate.js. Menu.js was also removed for custom jQuery code. This one is more difficult — you’ll need SSH access to install one of these on your server. These cache systems make PHP more responsive by caching your PHP code, stopping the interpreter from recompiling code upon every request. I’ve used APC in the past and have had mixed results using it with Magento, but try it out and see if your page performance increases. 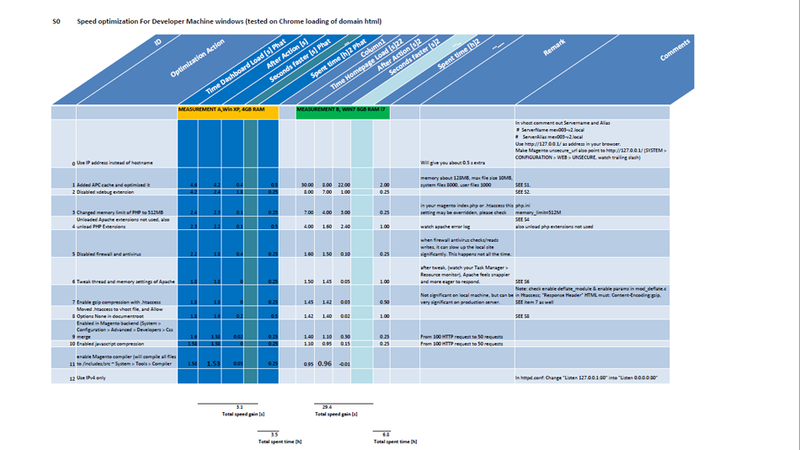 If you’re wondering which one to use, check out APC vs. Eaccelerator vs. Xcache on StackOverflow. If you want to install APC on an Ubuntu server, this is the approach I use. If you’re using jQuery (hopefully you are) and custom code, you’ll definitely want to include those files at the bottom just above your ending body tag. This way your website will render on the screen faster and not have to wait for these additional JS files to load. Learn more about JS footer code here. Amazon S3 is a cost-efficient way to serve product photos in your Magento store. It’s very inexpensive and quick to set up. Luckily there’s a free Magento extension that lets you hook up your Amazon S3 bucket. Using OnePica_ImageCDN makes it easy to set up your own CDN server for images using Amazon S3. Why should you use Amazon S3/CDN? Here’s another standard front-end optimization: Group your CSS background images into sprites. The browser downloads the images used in your CSS when your CSS file is loaded, slowing down render speed. A sprite can include as many images as you want in a single file. Typically I group rating stars and button states into their own unique sprites instead of having separate images for each state or rating, e.g. button_hover.gif, button_active.gif or rating_1.gif, rating_2.gif. However, it gets kinda tricky. If you have repeat-x or repeat-y backgrounds you can’t place them together in one sprite. When you build sprites you’re using overflow: hidden in your CSS and cutting off part of the sprite to only show one piece of the sprite. To learn more about CSS sprites, click here. If you want to see how fast your magento theme is performing in the front-end, use Developer Tools in Chrome or Firebug for Firefox. Install the YSlow extension/add-on. This entry was posted in Working SQL on September 11, 2014 by Phat Pham. robots.txt is a structured text file, when the spider (bot, crawler) of the SE (search engines) to the site to collect data on the robots.txt file would be to see the instructions in this file. robots.txt can assign each of the different types of bot SE can vary in each area of the website or the website or not? - No written opinion, the lack of spaces. - Do not insert any character other than the command syntax. - Each statement should be written on one line. - Use notepad or any other program that created the file, then rename the file robots.txt. - Put in the root directory of the website. This entry was posted in Working SQL on August 24, 2014 by Phat Pham. This should give you an idea for how to run a script to perform a mass update on your products. This entry was posted in Working SQL on April 4, 2014 by Phuong Nguyen. This entry was posted in Magento Tips on September 7, 2013 by Phat Pham. This entry was posted in Magento Tips on September 4, 2013 by Phat Pham. We've optimized Magento for a local Windows machine and reached speeds increasements of 400% (4 times) till 3000~1500% (15 to 30 times). The screen below shows the speed measurements. 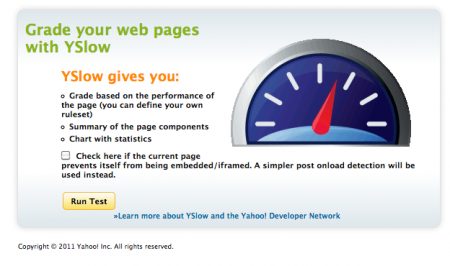 After optimization the average load of a Magento page is 1.0 seconds till 1.53 seconds. Below 12 steps have been detailed out to optimize your own Magento. 1. Added APC cache and optimized for Magento. 4. Unloaded Apache extensions not used, also unload PHP Extensions. 5. Disabled firewall and antivirus. 6. Tweak thread and memory settings of Apache. 8. Moved .htaccess to vhost file, and Allow Options None in documentroot.